This isnad is sahih or hasan. All the narrators in this chain are reliable: Al-Azhari is ‘Abd Allah ibn Ahmad ibn ‘Uthman al-Sayrafi (355 – 435), and is saduq according to al-Khatib (Misbah al-Arib 2:303); Ali ibn Muhammad ibn al-Hasan al-Maliki (350 – 437 H) is saduq (Tarikh Baghdad 13:584); ‘Abd Allah ibn ‘Uthman ibn Muhammad al-Saffar (d. 382) is thiqah (Tarikh Baghdad 11:225-6); Muhammad ibn ‘Imran ibn Musa al-Sayrafi (d. 315) is thiqah according to Daraqutni (Tarikh Baghdad 4:226). Ibn al-Madini, a strict critic of narrators and one who spent time with Abu Yusuf and heard hadith from him directly, acknowledged his reliability in the narration of hadith. This isnad is sahih. Al-Sayrafi (d. 421) is thiqah according to al-Dhahabi (Misbah al-Arib 3:238); al-Asamm (247 – 346) is a famous Hafiz from whom al-Hakim narrated in his Mustadrak and he is thiqah; ‘Abd Allah ibn Ahmad ibn Muhammad ibn Hanbal (d. 290) is a narrator of al-Nasa’i, and thiqah according to Taqrib. Imam Ahmad does not hide his bias against Imam Abu Hanifah and his companions, but because Abu Yusuf was his first teacher from whom he wrote hadith, he had some level of respect for him, which is why he referred to him as saduq (reliable) and munsif (fair) in hadith. This isnad is hasan. ‘Abd al-Rahman ibn ‘Umar ibn Ahmad ibn Muhammad known as Ibn Hammah (d. 397) is thiqah according to al-Khatib and al-‘Atiqi (Tarikh Baghdad 11:608); Muhammad ibn Ahmad ibn Ya‘qub ibn Shaybah (254 – 331) is thiqah according to al-Khatib (Tarikh Baghdad 2:248). He heard from his grandfather, the famous trustworthy hafiz Ya‘qub ibn Shaybah (180 – 262), author of the Musnad, as a child. This isnad is sahih or hasan. Abu Muhammad ‘Abd Allah ibn Yahya ibn ‘Abd al-Jabbar al-Sukkari (d. 417) is saduq according to al-Khatib (Tarikh Baghdad 11:454); Muhammad ibn ‘Abd Allah al-Shafi‘i (d. 353) is thiqah according to al-Khatib and al-Daraqutni; Ja‘far ibn Muhammad ibn al-Azhar known as al-Bawardi and al-Tusi (d. 299) is thiqah according to al-Khatib (Tarikh Baghdad 8:98); al-Mufaddal ibn Ghassan ibn al-Mufaddal Abu ‘Abd al-Rahman al-Ghalabi (no date of death) is thiqah (Tarikh Baghdad 15:156). Ibn Ma’in’s comment that Abu Yusuf was not acquainted with hadith is probably due to the latter’s preoccupation with fiqh and qada, for otherwise, Abu Yusuf was a hafiz of hadith as is apparent from his works and from the number of his shuyukh. This comment is also contradicted by what was also narrated from Ibn Ma’in as mentioned by Ibn Hajar al-‘Asqalani in Lisan al-Mizan (8:518) that al-Tahawi narrated from Ibrahim ibn Sulayman ibn Dawud al-Asadi (d. 270) who is trustworthy according to Ibn Yunus (Misbah al-Arib 1:32) from Ibn Ma‘in that, “There is not amongst the champions of opinion [one with] more hadith, nor more firm than Abu Yusuf.” It is also mentioned above in the second narration from Ahmad that Ibn Ma’in would write and narrate from Abu Yusuf. There is, however, an authentic narration from Ibn Ma’in as narrated by Ahmad ibn Sa’d ibn Abi Maryam that he said about Abu Yusuf, “his hadiths are not written.” (Tarikh Baghdad 16:378) However, al-Khatib counters this with his statement “[narrators] besides Ibn Abi Maryam narrated from Yahya that he declared [Abu Yusuf] thiqah.” Hence, it appears that according to al-Khatib the latter narration is shadh (anomolous) while the narrations from Ibn Ma’in supporting Abu Yusuf’s reliability are mahfuz (preserved). From the above, it is clear al-Madini, Ibn Ma’in and Ahmad ibn Hanbal, who were contemporaries, and who would meet regularly to discuss hadiths, all agreed Abu Yusuf was either saduq or thiqah. Al-Khatib narrates with an authentic chain from Qadi Ahmad ibn Kamil (d. 305) that he said: “Yahya ibn Ma’in, Ahmad ibn Hanbal and ‘Ali ibn al-Madini did not differ on Abu Yusuf being thiqah in narration.” (Tarikh Baghdad 16:361) Although Ibn Kamil is weak in hadith, his statement is corroborated by the above evidence. Al-Barqani narrated in his Su’alat (no. 567) that al-Daraqutni said of Abu Yusuf “he is stronger than Muhammad ibn al-Hasan,” and as shown here al-Daraqutni said of Muhammad ibn al-Hasan he is from “the trustworthy huffaz” and “he does not deserve rejection.” Hence, Abu Yusuf is thiqah according to him. He included Imam Abu Yusuf in his list of trustworthy narrators (al-Thiqat) and said Abu Yusuf is a “proficient (mutqin) shaykh (of hadith).” “Mutqin” is equivalent to “thiqah” as mentioned in Tadrib al-Rawi and other books on Usul al-Hadith. 8/9. Imam al-Bayhaqi and Imam al-Hakim also declared Abu Yusuf trustworthy (thiqah) in their 2. works. Based on the above, the statement of al-Bukhari in al-Tarikh al-Kabir, “they abandoned him,” will not be accepted. Imam Abu Yusuf was, without doubt, thiqah (trustworthy) in the narration of hadith. Here is an excerpts from Shaykh Shu’ayb al-Arna’ut’s research on Sharh Mushkil al-Athar of Imam Abu Ja’far at-Tahawi. He counted Qadi Abu Yusuf, the student of Imam Abu Hanifa, as trustworthy (thiqah). 2256: Ja’far bin Ahmad bin al-Walid al-Aslami — Bishr bin al-Walid al-Kindi — Abu Yusuf — ‘Ubaydullah bin ‘Umar — Usamah bin Zayd — ‘Irak bin Malik — Abu Hurayrah from the Messenger of Allah (pbuh), narrated a report similar to the previous one. Its chain is Hasan due to Usamah bin Zayd al-Laythi. Rest of its narrators are trustworthy. Ali ibn Muhammad ibn al-Hasan al-Maliki (350 – 437 H) is saduq (Tarikh Baghdad 13:584); ‘Abd Allah ibn ‘Uthman ibn Muhammad al-Saffar (d. 382) is thiqah (Tarikh Baghdad 11:225-6); Muhammad ibn ‘Imran ibn Musa al-Sayrafi (d. 315) is thiqah according to Daraqutni (Tarikh Baghdad 4:226). ‘Ali ibn al-Madini was a strict (mutashaddid) critic of narrators and was not partial to the Hanafi Imams, so this statement from him strongly supports the view that Imam Muhammad is trustworthy in hadith. Al-Daraqutni refers to Muhammad ibn al-Hasan as a thiqah hafiz on par with such masters of hadith as Yahya al-Qattan, Ibn al-Mubarak and Ibn al-Mahdi. Al-Barqani (who is thiqah according to al-Khatib) narrated in his Su’alat (questions) from al-Daraqutni that he said about Muhammad ibn al-Hasan “according to me, he does not deserve rejection” (‘indi la yastahiqq al-tark). Hence, it is established that Ibn al-Madini and al-Daraqutni believed Imam Muhammad al-Shaybani was reliable or trustworthy in the narration of hadith. The narrators in this chain are all thiqat. Al-Hasan ibn Muhammad ibn al-Hasan ibn ‘Ali Abu Muhammad al-Khallal (352 – 439) is thiqah according to al-Khatib (Tarikh Baghdad 8:454); ‘Ali ibn ‘Amr ibn Sahl Abu l-Husayn al-Hariri (292 – 380) is thiqah according to al-‘Atiqi (Tarikh Baghdad 13:470); ‘Ali ibn Muhammad ibn al-Husayn Abu l-Qasim al-Nakha‘i known as “Ibn Kas” (d. 324), a Hanafi, and a shaykh of al-Daraqutni and Ibn Shahin, is thiqah according to al-Khatib (Tarikh Baghdad 13:540); ‘Abd Allah ibn al-‘Abbas ibn ‘Ubayd Allah Abu Muhammad al-Tayalisi (d. 308) is thiqah according to al-Khatib (Tarikh Baghdad 11:219-20); ‘Abbas ibn Muhammad ibn Hatim al-Duri (185 – 271) is a narrator of the Four (Tirmidhi, Nasa’i, Abu Dawud, Ibn Majah) and is thiqah as mentioned in al-Taqrib. Yahya ibn Ma’in who was over thirty when Imam Muhammad died narrated al-Jam’i al-Saghir on fiqh from him. This is why the narration from him as mentioned in al-Du’afa by al-‘Uqayli that Imam Muhammad was a “liar” (kadhdhab), although with an authentic chain, its matn is doubtful as it is very unlikely that Ibn Ma’in would narrate from somebody he believed to be a liar as pointed out by al-Kawthari in Ta’nib al-Khatib. The narrations from Abu Yusuf and Malik saying they believed Imam Muhammad a liar as narrated by al-Khatib have chains that are weak or fabricated. There are other narrations from Ibn Ma’in indicating he believed Imam Muhammad was weak in hadith, but such criticism from contemporaries are rejected. However, it is authentically reported from Ahmad ibn Hanbal and al-Nasa’i that they believed Imam Muhammad was weak in hadith. Their crticism (jarh) however is unexplained (ghayr mufassar) and ambiguous (mubham) and therefore will not be given precedence over what was said by al-Madini and al-Daraqutni. Moreover, it is well-known Imam Ahmad was biased against Abu Hanifah and his companions as mentioned by Ibn ‘Abd al-Barr (al-Intiqa, p. 179) and as is clear from his statements about them, so his criticism of them will not be accepted. Al-Nasa’i is also known to be strict in his criticism of narrators, so his assessment against a narrator is suspect while his assessment in favour of a narrator is reliable. Imam al-Dhahabi after mentioning al-Nasa’i’s weakening of Imam Muhammad, he said “he was from the oceans of knowledge and strong in his narrations from Malik.” (Lisan al-Mizan 7:61) Imam Muhammad said: “I stood at the door of Malik for three and some years and I heard seven hundred hadiths directly from him.” Narrated with an authentic chain in Tarikh Bagdad (2:562) from al-Husayn ibn ‘Ali al-Tanajiri (351 – 439) who is thiqah, from the famous Ibn Shahin (297 – 385) who is thiqah from ‘Abd Allah ibn Muhammad ib Ziyad (d. 324) who is thiqah from Muhammad ibn ‘Abd Allah ibn ‘Abd al-Hakam (182 – 268) who is thiqah (as mentioned in al-Taqrib) from Imam al-Shafi‘i from Muhammad ibn al-Hasan al-Shaybani. While he spent three years with Malik, Imam Muhammad spent over five years with Abu Hanifah, and even longer with Imam Abu Yusuf, which means that according to al-Dhahabi, his narrations from them should also be strong. 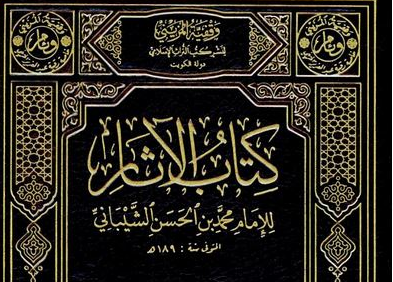 Based on al-Madini’s and al-Daraqutni’s unequivocal statements in support of Imam Muhammad’s reliability in narrating hadith, and the ambiguous nature of the statements of those who criticised him like Ahmad and al-Nasa’i, and based on the principles of narrator-criticism, Imam Muhammad is either saduq (reliable) or thiqah (trustworthy) in the narration of hadith, particularly when he narrates from Abu Yusuf, Abu Hanifah or Malik. Here are two excerpts from Shaykh Shu’ayb al-Arna’ut’s research on Sharh Mushkil al-Athar of Imam Abu Ja’far at-Tahawi. He counted Imam Muhammad bin al-Hasan ash-Shaybani as trustworthy (thiqah). The following is a short treatise linking the Ḥanafī Madhab, one of the great schools of jurisprudence established during the time of the Salaf, to one of the great Companions of the Prophet ﷺ, ‘Abdullāh Ibn Mas‘ūd, and for the most part this treatise also serves as an answer to the accusations made against this great companion with regards to his credentials in the Islāmic sciences. 1. Imām Abū Ḥanīfah al-Nu‘mān Ibn Thābit: he took over the seat of teaching in Kūfā after his teacher Ḥammād Ibn Abī Sulaymān passed away, and was recognised as his main student. 2. Ḥammād Ibn Abī Sulaymān: he was the most learned of the students of Ibrāhīm al-Nakha‘ī and the most noble. 3. Ibrāhīm al-Nakha‘ī: he was born into a family of Scholars, he succeeded ‘Alqamah Ibn Qays, his maternal uncle. He was also regarded as those who were most knowledgeable in regards to opinions and views of ‘Abdullāh Ibn Mas‘ūd. 4. ‘Alqamah Ibn Qays: he was a highly recognised student of ‘Abdullāh Ibn Mas‘ūd to the extent that he was regarded as the closest of the people in terms of attributes, conduct and habit, to ‘Abdullāh Ibn Mas‘ūd. 5. He is ‘Abdullāh Ibn Mas‘ūd (May Allāh be pleased with him), he was a noteable ṣaḥābī (companion) of the Messenger of Allāh ﷺ and died in the year 33 or 34 ḥijrī. He has many outstanding virtues which would be far too lengthy to mention here. It suffices to say that there was not a field that he himself did not excel in, this is because of his attachment to the Messenger ﷺ and always being in close proximity to him; learning from him, helping him [doing his khidmah], asking questions related to the Dīn to the extent that even onlookers would think that he was part of the Ahl ‘l-Bayt [The Messenger’s ﷺ family]. وأخرج البخاري والنسائي من حديث أبي موسى قال: قدمت أنا وأخي من اليمن، فمكثنا حينا، وما نحسب ابن مسعود وأمه إلا من أهل بيت النبي – صلى الله عليه وسلم – لكثرة دخولهم وخروجهم عليه . ‘(Imām) al-Bukhārī and (Imām) al-Nasā’ī narrated from a narration of Abū Mūsā that he said: ‘Me and my brother came from Yemen [to Madīnah] and stayed for sometime, we were then led to believe that Ibn Mas‘ūd and his mother were part of the household of the Prophet ﷺ due to their constant going in and out [from the house]’. ‘Manṣūr and al-A‘mash [both] narrate from Abū Wā’il that he said we were with Ḥudhayfah while Ibn Mas‘ūd went by, so Ḥudhayfah said [regarding Ibn Mas‘ūd]: ‘Verily, [he was] the closest of the people to the Messenger of Allāh ﷺ in terms of conduct, habit, judgement and speech, until he went in his home [after which we did not know]’. From Ḥudhayfah that he said: ‘We were sitting with the Prophet ﷺ and he said: ‘I do not know how long I will be amongst you, so stick to the two after me,’ and he signalled towards Abu Bakr and ‘Umar, ‘be guided through the example of ‘Ammār and whatever Ibn Mas‘ūd narrates to you believe it [accept it]’. [Imām al-Tirmidhī said] This is a ḥasan ḥadīth, Ibrāhīm Ibn Sa‘d narrates this ḥadīth from Suyān al-Thawrī from ‘Abd ‘l-Mālik Ibn ‘Umayr from Hilāl the Mawlā of Rib‘ī from Rib‘ī from Ḥudhayfah from the Prophet ﷺ similar to the above. Sālim al-Murādī al-Kūfī also narrated the same from ‘Amr Ibn Harim from Rib‘ī Ibn Ḥirāsh from Ḥudhayfah from Prophet ﷺ similar to the above. ‘Abdullāh Ibn Mas‘ūd said: ‘By Allāh besides whom there is no God, there is not a sūrah that was revealed from the Book of Allāh except that I am the most knowledgable regarding where it was revealed, and there is not an āyah from the Book of Allāh that was revealed except that I am the most knowledgeable regarding its [reason for] revelation, and if I were to know of anyone more knowledgeable than me regarding the book of Allāh who was within [the distance of] a camel’s journey, I would surely travel to him’. From Zayd Ibn Wahb, he said: ‘Abdullāh came by one day whilst ‘Umar was sitting, so he [‘Umar] said: ‘He [Ibn Mas‘ūd] is a person filled with [the knowledge of] fiqh’. It is sufficient to mention that Imām al-Dhahabī gives him the title of Faqīh ‘l-Ummah (The Jurist of the Ummah). From ‘Alī may Allah be pleased with him, that he said: The Messenger of Allāh ﷺ said: ‘If I were to appoint a leader (khalīfah) without consultation then I would appoint over them Ibn Ummi ‘Abd (Ibn Mas‘ūd)’. [Imām al-Ḥākim says] This is a ḥadīth which has an authentic chain although it was not narrated in the ṣaḥīḥayn’. From ‘Abdullāh Ibn ‘Amr that he said: the Messenger of Allāh said: ‘Take the Qur‘ān [meaning it’s recitation] from four (people), from ‘Abdullāh Ibn Mas‘ūd, Sālim, Mu‘ādh Ibn Jabal, and Ubayy Ibn Ka‘b’. It is manifest that the great companion ‘Abdullāh Ibn Mas‘ūd was a Mujtahid of highest repute, and left no field except that he had mastered it. ‘Hold tightly to the order of Ibn Mas‘ūd’, refer to Musnad ‘l-Ḥumaydī (#436). Sunni Islam is something that has been clearly defined several times. It is adherence to one of the four schools of jurisprudence: Hanafi, Shafi, Hanbali or Maliki; as well being Maturidi or Ash’ari in doctrine. That’s who Ahl al Sunna wa jammah are and if they are other than this then are not Sunni Islam! It’s not adherence to a scholar born in the last two hundred years! It is about following Islam from the beginning! Following an unbroken chain of teachers back to the Prophet (may Allah bestow peace and blessings upon him). Not following one scholar’s opinion! That is not Ahl al Sunna! When people follow one scholar’s opinion over others then they have left Ahl al Sunna because Ahl al Sunna is the opinion of the consensus of the rightly guided scholars. Not taking one scholars opinion in isolation! What I mean is when people ignore the consensus on an issue and follow one scholar’s opinion, which is against the consensus. When someone takes a singular opinion of one scholar in isolation, they go astray. This happens very often. Especially by uninformed speakers who have no grounding in knowledge. You will be surprised if I actually mention the names of such individuals who are not qualified to speak. So why do they speak? Ignorance recognises ignorance. When you are following your Sheikhs/Pir’s opinion in spirituality then you have to adhere to it. The above is about aquida and fiqh, when they have their own opinions that go outside their own school. They should adhere to their school and encourage you to follow yours. Get ready for a shock because your Sheikh could be wrong! Yes, it is true! Murids of particular Sheikh/Pir follow their teachers with that much love that they even follow them when they are wrong. This is not the fault of the Murid from the onset but it is the fault of the Pir/Sheikh. It shows that he has little knowledge of the sacred law. No one is above the sacred law and your Pir cannot override the Quran but how often they do. If they do it frequently then it points a finger that he might not be a Wali. If your Pir does not know the sacred law then he should refer people to someone who do and not answer questions about things he does not know. Unfortunately, there are ‘masters’ who are not qualified but pretend as if they are. There are many pretenders to the ‘throne’ of waliyyah and they have no right. People who are not qualified may die disbelievers because they are propagating a lie about Allah (the Exalted) and His Messenger (may Allah bestow peace and blessings be upon him). One of the worst things that occurs to new Murids, when they join a spiritual path, they just spend their time with their own Murids. Rather than take from what he needs from those before, he becomes a murid and he even leaves his teachers. There are times when people have to leave teachers but that is rare. Most Murids now exclusively learn from their own ‘teachers’ rather learn from those better qualified. Therefore, people will drive teachers from across one part of the country to the other rather than call someone local who is more qualified. This is the pinnacle of corruption that exists at this time. It is ugly and unwanted. Sheikhy notes is not like that, we support all those who say anything good. Realise that your Sheikh is a human being and can be wrong, like everyone else in the world. Only Allah (the Exalted) and his Messenger (may Allah bestow peace and blessings upon him) are never wrong. Everyone else do not have such protection. Scholars/Pirs etc can be wrong so it is up to you to find out about what does not seem clearly right. Do not obey your Sheikh if he commands you to do any haram act. A wali has protection/hifz from disbelief but not committing sins or mistakes. Someone asked Junaid Al-Baghdadi (may Allah show him mercy) if a wali can commit illegal fornication, he began to sweat and recited the verse, “The decree is apportioned.” So the Wali can commit sins but will repent straight away. ŞOK SES KAYDI FETÖ’nün imamları Tayyip Erdoğan ölmeli! 1) Yediği lokmanın helâliyet derecesi. 2) Beraber olduğu kimselerin mânevî keyfiyeti. Zira hayırlı biriyse hayra sevk eder, şerli biriyse şerre sürükler. ESKİ TÜRKİYE! UNUTMA UMUTTURMA! BU ZİHNİYETİN TEKRAR GERİ GELMESİNE İZİN VERME! PAYLAŞ! Her medeniyet, kendi insan tipini meydana getirir. O insan tipi de, mensup olduğu medeniyetin sıfat ve karakterleriyle âhenk arz eder. Bu yönüyle şanlı mâzimiz, insanlığa sunulan muhteşem bir “fazîletler medeniyeti”dir. Mâverâünnehrʼin bembeyaz çadırlarında metafizik ihtilâçlar yaşayıp nihâyetinde İslâmʼla şereflenen milletimiz; asırlarca birçok kavmi; İslâmʼın merhamet, şefkat, nezâket, zarâfet ve adâletiyle kucaklayıp kendi bünyesi içinde huzurla yaşatmıştır. Zira bizim medeniyetimiz; “İnsanların en hayırlısı, insanlara en faydalı olandır.” hadîs-i şerîfini hayat düstûru edinen îmanlı sînelerin eseri bir medeniyettir. Malazgirtʼte başlayan “îman” vecdini kıtalara taşıma heyecanı; üzerinde yaşadığımız toprakları asırlar boyunca şehid kanlarıyla sulayarak aziz bir vatan hâline getirmiştir. Dînin yaşanabilmesi, ırzın-nâmusun, mülkiyetin muhafazası, bayrağın dalgalanabilmesi; mukaddes bir emanet olan vatanı korumakla mümkündür. Zira vatan parçalanırsa -Osmanlıʼnın son hâlinde olduğu gibi- Dünya devlerinin lokması hâline geliverir. Ecdâdımız pek çok milleti kendi bünyesinde cem etmiş, hepsine kendi inanç ve örfü içinde hayat hakkı tanımış, karşılıklı hak ve hukuka riâyet bereketiyle, huzurlu bir toplum inşâ etmiştir. Böylece altı asır boyunca insanlığa hak ve adâlet tevzî etmiştir. Bugün de vatanımızda bu minval üzere, sulh ve sükûn içinde yaşamanın huzuruna muhtacız. Bunun için, millet olarak, birlik, beraberlik ve kardeşliğin değerini idrâk etmeliyiz. Birbirimizin dertlerine şefkat ve merhametle derman olmalıyız. Zira toprağına kardeşlik, muhabbet, şefkat ve merhamet tohumları ekilmeyen memleketler, istikbâlin mâtem ülkeleri olmaya mahkûmdur. Toplumlar için en büyük tehlike; ihtilâflar, bölünmeler, parçalanmalar neticesinde meydana gelen anarşidir. Müslümanların fitne ve ihtilâflara düşmemeleri için, kardeşlik hukukuna riâyet etmeleri şarttır. Unutmayalım ki Cenâb-ı Hak bütün müslümanları kardeşimiz, diğer insanları da yaratılıştaki eşimiz kılmıştır. Bu bakımdan İslâm, fertler gibi milletlerin de birbirleriyle iyi geçinmelerini, sulh ve selâmet içinde yaşamalarını ister. 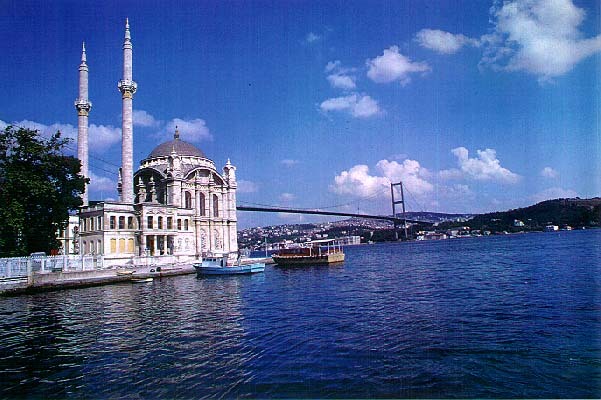 Bu sebeple İslâm’da harp değil sulh esastır. “Osmanlı atları Vistül Nehri’nden su içmedikçe, bu ülke hürriyet ve istiklâle kavuşamaz!” sözünün Lehistanʼda bir darb-ı mesel hâline gelmiş olmasıdır. Bugün bir ve beraber olmaya, iyilikte yardımlaşmaya, hakkı, adâleti, merhameti ve muhabbeti yükseltip toplumumuza dostluk ve kardeşliği hâkim kılmaya her zamankinden daha fazla muhtaç durumdayız. Yaşamakta olduğumuz bu zor günlerin, -inşâallah- huzurlu yarınların doğum sancıları olması temennîsiyle, Cenâb-ı Hakʼtan vatanımıza, milletimize ve farklı coğrafyalarda yaşayan kardeşlerimize, huzur, saâdet ve selâmetler niyâz ederiz. Beyhakî, Şuab, VI, 117; İbn-i Hacer, Metâlib, I, 264.